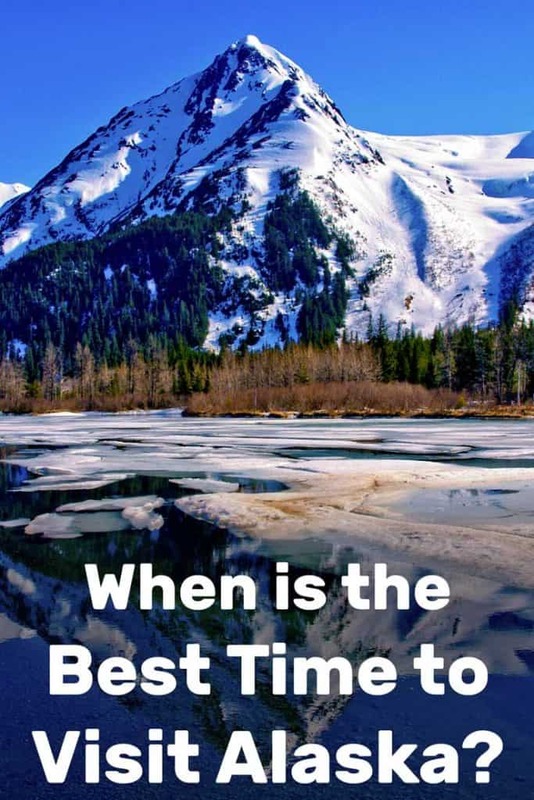 When Is the Best Time to Visit Alaska? We visited Alaska in the summer of 2017 and loved it. 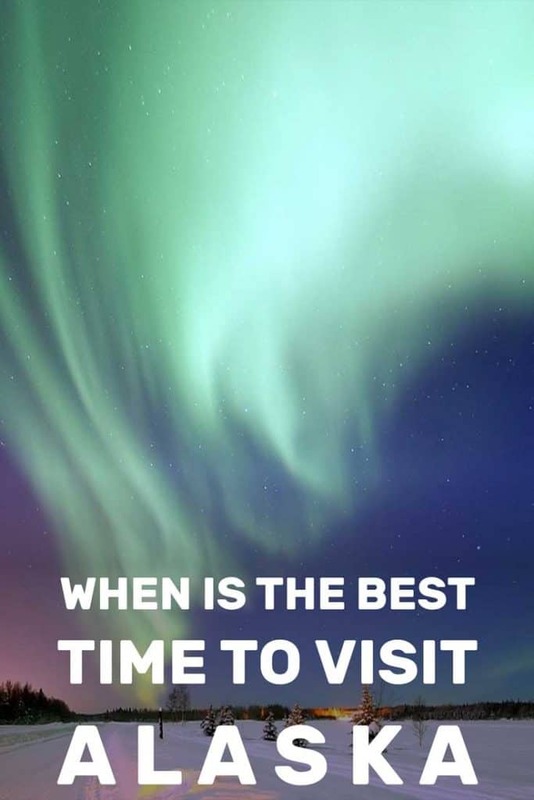 Will definitely be back for more, so I decided to explore the question of timing – when’s the best time of year to visit Alaska. Sharing my findings here with you in this post. Over the past few years, Alaska’s tourism industry has experienced a major surge. In 2014, the Last Frontier welcomed a record 1.96 million tourists, and that number continues to climb year on year. If you’re considering visiting Alaska for the first time, then you’re probably wondering what’s the best time to go here. This is an important consideration because you’ll have a very different experience depending on when you choose to visit this state. The best time to visit Alaska is between the months of May and September. During this time of year, you’ll experience mostly clear weather, temperatures in the low to mid-60s F, and long hours of sunlight. Usually tourism peaks between June and August due to summer break, warmer temps, and the height of both fishing and whale watching seasons. Tourists who want to save money and enjoy a little extra privacy tend to favor the shoulder seasons before and after the summer rush. Usually, only people interested in snow-related sports, the Northern Lights, or festivals like the Iditarod visit Alaska in the frigid winter months. Just because summer is Alaska’s most popular tourist season doesn’t mean it will be the best fit for you. It’s important to consider exactly what you want to experience in Alaska before deciding what month to visit. 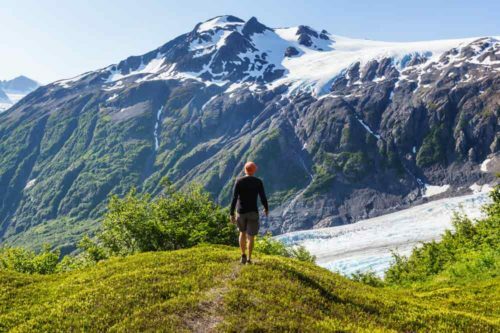 Let’s go over the pros and cons of visiting Alaska during different seasons to help you get a better sense of when to take your Alaskan voyage. You have your answer above but as always, there are pros and cons to every decision, so we want to share those with you. The vast majority of people who visit Alaska do so in the summertime. And, honestly, who could blame them? 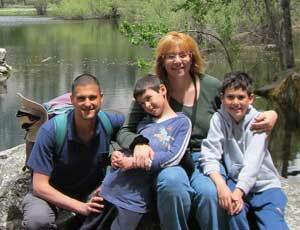 From June till August, you’ll enjoy comfortable temperatures, glorious scenic views, and a plethora of wildlife tours. 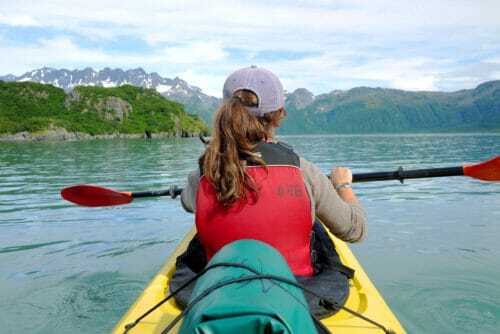 Daylight hours are extremely long during the summer season, which means you’ll have plenty of time to explore all the Alaskan wilderness has to offer. For a point of reference, on June 21st most regions of Alaska enjoy over 18 hours of sunlight. Summer temps usually average in the low to mid-60s F during the daytime and the mid-40sF at night. Of course, since the summer season is the most popular with out-of-state tourists, you’ll have no issues finding a professional tour to suit your interests. Most ports welcome about six major cruise ships per day during the summer months. Compare that with only about two per day before and after summer. Wherever you go on your tour, you’ll have the best chance of catching a glimpse of brown bears, moose, and, of course, whales in the summer season. Arguably the most popular summertime activity is going on a whale watching cruise. Although different whales appear in Alaska from spring through autumn, peak migration season is during the summer. To read more about the specifics of whale watching in Alaska, please check out this previous blog post. 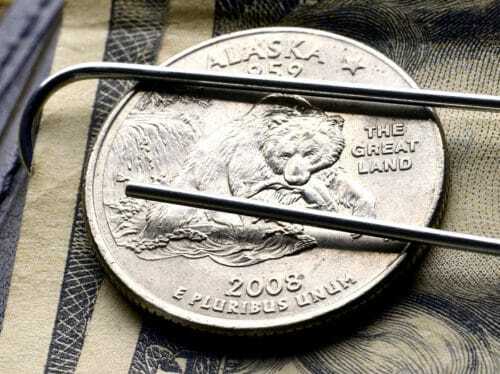 Fishing enthusiasts will also be happy to hear that the height of Alaskan fishing season is in the summertime. The best time to catch king salmon extends from mid-May through July and red salmon from mid-June till mid-August. Silver salmon season is later in the year and extends from July through September. There’s also a small window of opportunity to catch pink and chum salmon between mid-July and mid-August. 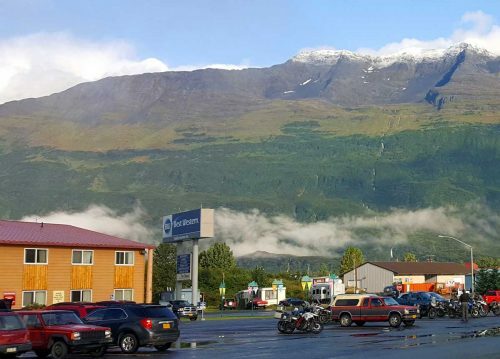 Although summer in Alaska is pretty sweet, there are a few cons you should be aware of. 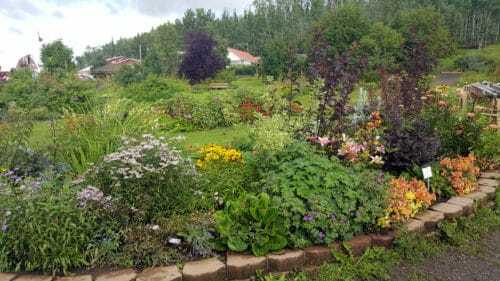 The most obvious drawback of visiting Alaska in the summer is that you’ll have shell out more money than at any other time of the year. On top of that, you’ll have to plan your trip at least a few months in advance to ensure you get a good hotel room and a spot on whatever tours you’re interested in. Another thing to keep in mind when booking a summer trip is that rain chances are slightly higher than at other times of the year. For instance, Anchorage gets between 2-3 inches of rain in July and August. This is higher than the 1-inch average for all other months of the year. By the way, one issue that really bugs (no pun intended) early summertime travelers is the high number of Alaskan mosquitos. Your best chance to avoid mosquitos is to visit at the tail end of the summer season rather than in June or July. Usually, the chill of August nights fends off these pesky critters. No option is perfect, so taking a look at the alternative now (going off-peak), let’s see what the pros and cons are. 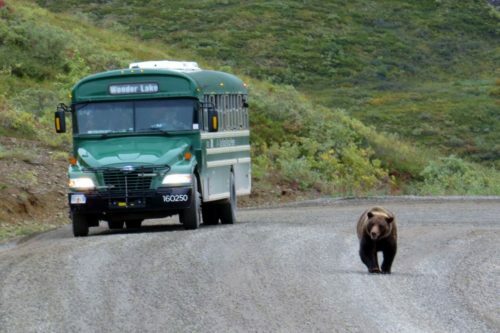 For those not interested in visiting Alaska during the summer rush, why not book a trip during the shoulder seasons? Sure, the weather is a bit cooler from April to May and in September, but you’ll enjoy fewer tourists, easier access to tours, and lower rates on airfare, rooms, and cruises. It’s not uncommon to pay between 10-25 percent less for all of your travel expenses in the shoulder seasons versus summer. 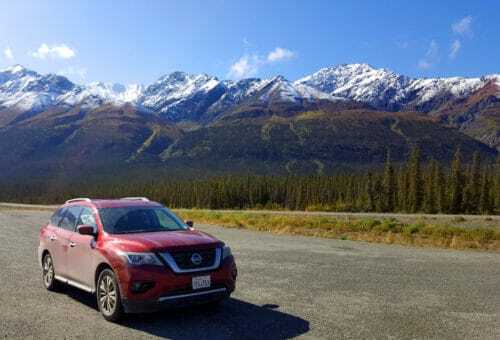 In fact, visiting during shoulder seasons is one of my main recommendations in the guide about the cost of traveling to Alaska (including budgeting tips). So, how much cooler is it during shoulder seasons? Well, average temperatures in Anchorage from April to May are between 30°F and 55°F while September averages are usually in the mid 40s F. There’s also increased darkness during these months, but that’s good news if you’re interested in seeing the Northern Lights. The best times to see the Northern Lights are either between October and November or in March, but you could catch a glimpse of these spectacular lights during shoulder seasons. In the summer season, however, you’ll have zero chance of seeing the Northern Lights. 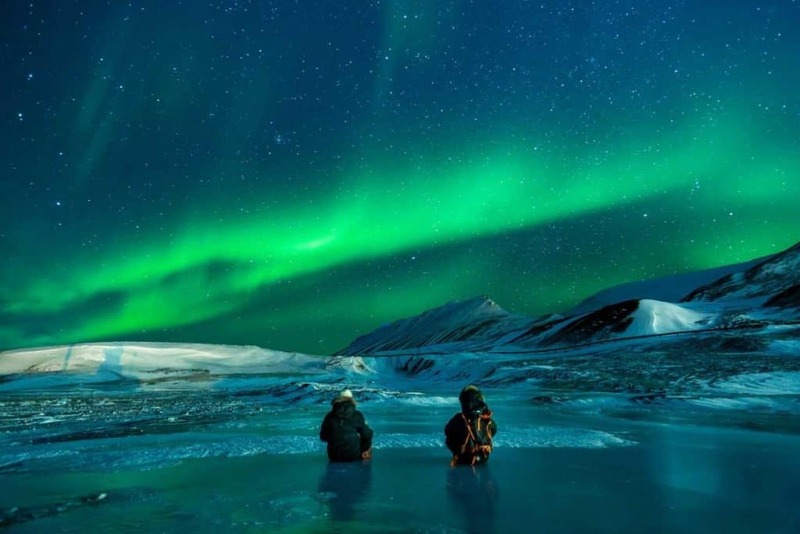 To learn more details about the Northern Lights, please check out this our post about the best times to see the Aurora Borealis in Alaska. 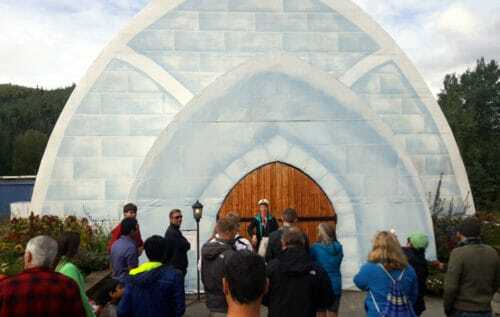 In the spring shoulder, you’ll also have a better chance of booking winter-related tours like glacier landings. This is bad news, of course, if you want to hike in the Arctic tundra because this area doesn’t usually melt till mid-June. 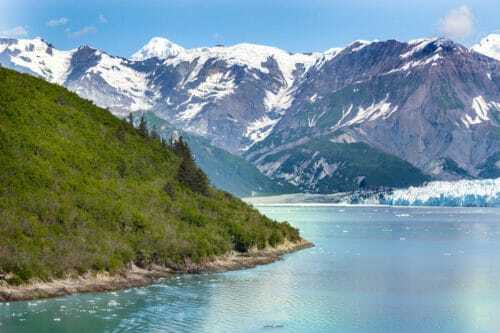 If you want to see huge glaciers on your Alaskan tour, however, then be sure to book a cruise during the springtime. September, on the other hand, rewards travelers who are interested in the changing colors of the Alaskan tundra and trees. Be aware, however, that Alaska’s autumn is extremely short. You can only catch the fleeting beauty of these leaves for a few weeks in mid-September. Why Brave The Alaskan Winter? OK, let’s be honest: visiting in Alaska during the frigid winter months isn’t an easy sell. Temps are usually in the low to mid 20s F, there are fewer tours available, and there’s only about six hours of sunlight in the southern portion of the state. For those who are into winter sports, snowy scenery, or the Northern Lights, however, a winter vacation to Alaska might be worth considering. One major reason people visit Alaska in the wintertime is to take advantage of the state’s many snow-related activities. A few of the most popular sports you could try out include snowshoeing, skiing, ice fishing, and ice climbing. Snowfall usually starts in earnest in late-December, so the best months for snowy weather are between January and March. Obviously, the higher you travel, the more snow you’re bound to encounter. For instance, Anchorage gets about 80 inches of snowfall per year, but the nearby Alyeska ski resort gets almost 180 inches per year. For those not interested in trekking through the snow, consider booking a spot on a scenic winter train ride. 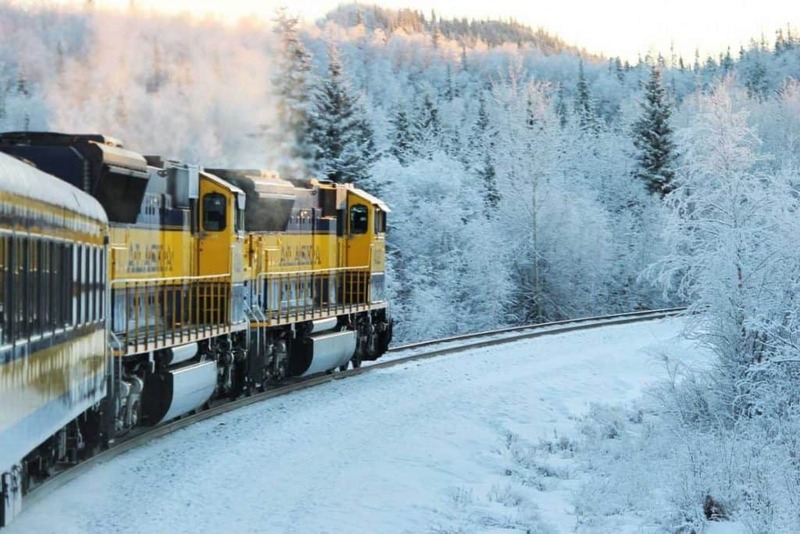 Yes, tour companies operate multi-day trips on the Alaskan Railroad between Anchorage and Fairbanks during the harsh winter months. Taking a train ride in Alaska is great any time of year, but it’s especially magical during the winter due to the snowy scenery and Northern Lights. Another nice feature about visiting in winter is that Alaskans host some of their most beloved festivities. The most famous of these festivals is the Iditarod Trail Sled Dog Race, which takes place every March. Other fun wintertime festivals include Palmer’s Colony Christmas Celebration in December, the Anchorage Fur Rendezvous between February and March, and the World Ice Art Championships between February and March in Fairbanks. While we’re mentioning winter festivities, it’s a good idea for tourists check out Alaska’s full list of annual festivals. 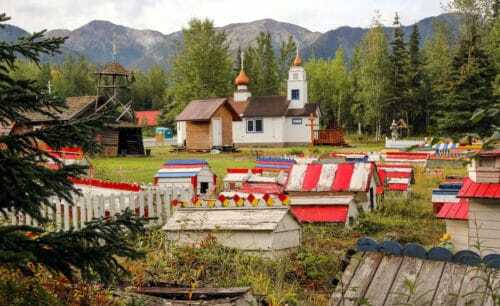 Taking part in special Alaskan festivals is a fun way to experience the local culture, so be sure to do some research beforehand. Let’s run through a few of the more famous events you should keep in mind when booking your Alaskan vacation. One fantastic summertime festival is called “Golden Days” and takes place in Fairbanks every third week of July. During these festive five days, locals celebrate their Gold Rush past by dressing up in authentic costumes and hosting numerous fun activities. 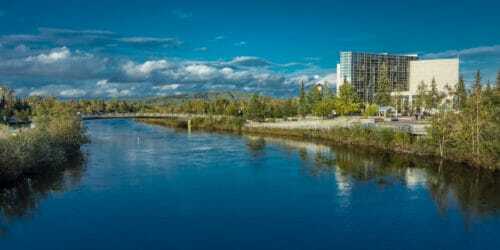 A few special events that take place during Golden Days include a BBQ contest, a rubber duckie race on Chena River, and the largest parade in Alaska. People visiting between late summer and autumn will have a chance to enjoy the Alaska State Fair if they’re in the Anchorage area. Taking place between late August and early September, this event has everything you’d expect from a great county fair: local treats, contests, games, rides, and plenty of live music. Third, anyone interested in experiencing Alaska’s indigenous cultures first-hand should consider visiting the state during the Festival of Native Arts. Hosted by the University of Alaska in Fairbanks, this multi-day festival from February to March celebrates the rich heritage of Alaska’s indigenous cultures through live performances, film screenings, and traditional art classes. Previous PostWhen is the Best Time to See Whales in Alaska?